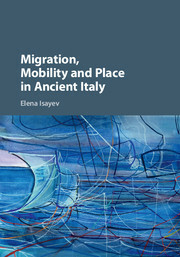 In her new book, Elena Isayev seeks to demonstrate that human mobility was a major factor in the ancient world and Italy in particular, going significantly beyond what "is suggested even by attention-grabbing figures for colonisation and state-sponsored activities". Taking her cue from scholarship in contemporary human geography, Isayev specifically challenges traditional approaches by Classicists and Ancient Historians, which have not only assigned privilege to such state-sponsored movements but also followed the assumption that ancient political authorities actively tried to prevent the movement of people. 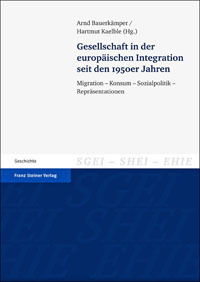 In this respect, Isayev explicitly draws on recent debates arising from the global waves of migration of the present decade which occasionally gives her argument an emotional, at times polemical edge, which is noticeable especially in her introductory chapter (3-17). The chronological range of Isayev's book is ambitious, ranging from the Iron Age to the Early Empire, and although her principal focus is on Italy, she frequently offers additional perspectives on other parts of the Mediterranean, notably the Greek East. Chapter 2 (8-17) establishes the heuristic framework of the book. Here find a useful, up-to date engagement with recent literature on aspects of mobility in the Graeco-Roman world. Specifically, Isayev addresses the issue of ancient demography and its limitations from the point of view of the available statistical data or, rather, its absence. In addition, Isayev argues, scholars have excessively limited themselves to those literary instances that explicitly deal with migration. Here, the author identifies a bi-polarity of approach that goes back to ancient traditions. At one end of the spectrum, there is an overemphasis on officially sanctioned migration, especially in the form of colonisation which Isayev defines widely - too widely in my view - as ranging from the formal foundation of new cities to rather more obscure institutions like the civitas sine suffragio. At the opposite end, both ancient sources and modern scholarship identify and frequently condemn supposedly deviant forms of migration, such as the influx of rural migrants into the mid-Republican city of Rome, or the movement of Oscan-speaking populations from the Apennines into the Tyrrhenian plain. Isayev goes to great lengths to demonstrate that this dichotomy is artificial: first, other forms of migration did exist between the two extremes. Second, resistance to migration usually sprang from a desire to make people remain in their original places of residence, as opposed to preventing them from coming in. This is Isayev's convincing reading of the episodic expulsions of foreigners from Rome that occurred during the second century BC, were usually prompted by complaints from the migrants' communities of origin. Third, the author argues that there was often little daylight between state-sponsored and unofficial forms of movement or, rather that the boundaries between the two were blurred. To illustrate these points, Isayey concludes the first part of her book with a case study of the Rōmaioi and Italiōtai of the second and first centuries BC. She discusses them as a rather fuzzy category of Italian residents of the eastern Mediterranean, who had moved - and were moving around - this part of the world for a variety of reasons, and both in connection with and in defiance of the will of the imperial Republic. The three thematic chapters of Part II (69-187) in turn deal with what Isayev identifies as key mobility-related phenomena of Italy between ca. 800 and 250 BC. 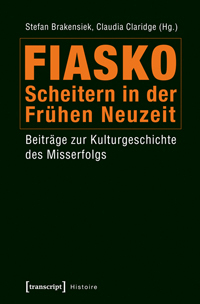 In the first of these (chapter 3), the author is concerned with ancient experiences of connectivity, and with the resultant impact which these had on communal ideas of origin and belonging. This part of the book is heavily influenced by the conceptual framework established by Horden and Purcell in The Corrupting Sea, to the point that this and the following two chapters at time come across as loose in their approach to chronological structure and geographical focus. 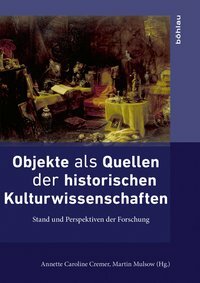 Isayev takes her readers on a tour de force of case studies that range from the story of the Corinthian Demaratus (98-107) to the Celtic populations of North Italy (119-126) and the (non-) colonisation of Pithecussae in the eighth century BC (125-138). If there is a chronological horizon, it is the emergence of Rome as the undisputed hegemon of Italy, which manifests itself, according to Isayev, in the first clear-cut examples of colonisation in the peninsula, and thus in a transformation of earlier types of mobility through the use of power (178-184). Rather than reducing the historical significance of mobility, Isayev argues, the arrival of Rome on the scene took it to new dimensions. As the first Italian polity to manipulate the movement of people as a major way of imposing her power, Rome directly and indirectly imbued ideas of origin, belonging and place with unprecedented meaning in the minds and experiences of her growing number of subjects. For the second century BC, Isayev seeks to demonstrate the rise of this new mobility by detailed case studies of Plautus' comedies and those sections in Polybius' history that are concerned with the movement of people (Part III, 191-307). Through her analysis of some of Plautus' plays (191-228), Isayev seeks to trace a measurably increased awareness of migration and differences in geographical origin among the poet's urban Roman audience. Here, she heavily subscribes to the view that Plautus adapted his Greek models considerably, in order to suit the experiences of his own public. This is by no means uncontroversial. Similarly, her two chapters on Polybius and his takes on mobility (229-266, 267-367) give the Greek writer the benefit of the doubt in respect both of his knowledge of Italy and of his intentions in writing about the peninsula. Perhaps an explicit discussion of Polybius' apparent disinterest in Roman colonisation or, for that matter, in the affairs of other Italian communities might have been helpful. As in the case of her Plautine chapter, by deciding not to engage in more detail with possible alternatives to her view of the (con) texts, Isayev runs the risk that some of her readers might dismiss her arguments in their entirety. In Part IV (309-425) Isayev turns to the Social War and its aftermath (chapter 9, 311-359), before dedicating her final chapter to literary and material representations of Rome as a place during the late Republic and early Empire (chapters 10-11, 360-394, 395-418). Her argument in this part of the book can be outlined as follows. The Social War was essentially a conflict over the cultural definition of place in Italy, with Corfinium and Rome representing diametrically opposed concepts of spatiality. While the Roman elite increasingly placed Rome at the centre of Italy and the empire (Isayev's "absolute" concept of place), the insurgents' spatial identity was much more "relational" and thus less associated with a specific location. Although the Italians' capital happened to be at Corfinium, it might as well have been in another location, which is in the author's view shown by the fact that it did eventually move, to Bovianum at first, followed by Aesernia. As a result of Rome's hard-fought victory, the absolute concept of place carried the day: as a result, Italian individuals and communities increasingly defined their own identities in relation to Rome in the first place. This process culminated during the reign of Augustus when Rome as a place, as well as places within Rome became indelibly associated with what it meant to self-identify, firstly, as Roman and, secondly, as Italian. In this light, Isayev interprets Livy's speech of Camillus (5.50-55) against the proposed move to the site of Veii across the Tiber, as the first and most emphatic literary manifestation of Rome as an absolute place of reference - and made by an author whose home region of Cisalpine Gaul had only recently been included in terra Italia (chapter 10, 360-394). At the level of material and visual manifestations of this locational concept, Isayev's final chapter focuses on the emergence of mapped space - physically and mentally - and, in particular, on places in the city that helped (elite) individuals map out their identity in relation to Rome (chapter 11, 395-418). Thus, belonging to the Roman patria increasingly became a process of spatial association with places in Rome. While other places in Italy and the empire - typically an elite individual's town of origin - clearly mattered, as seen in Cicero's case, where they were and what they looked like was of little consequence to a person's identity as a Roman. This is an important book which dovetails nicely with other recent publications that have begun to revise traditional views of how ancient Romans viewed space in Italy and their city. More so than other scholar perhaps, Isayev has made an effort not exclusively to focus on the perceptions of the elite - as in her sections on landscapes and Plautus - although the nature of the evidence naturally means that socially elevated points-of-view dominate her study too. 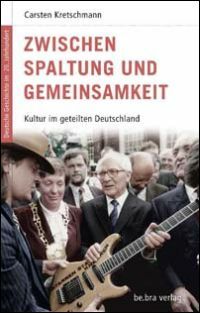 Migration, Mobility and Place is not always an easy book to read. It is heavy with jargon borrowed from the Social Sciences, the relevance of which to the ancient world is not immediately clear in all instances. Problematic, too, is the fact that Isayev's historical argument occasionally drops back behind her own views on migration as a contemporary phenomenon. This might put off some readers and is furthermore not necessarily conducive to the work's shelf-life. I most enjoyed reading the sections on the Italian traders overseas, on Demaratus, and on maps. The same applies to the innovative chapter on Plautus, with the reservations I raised above. I least liked chapters 4 and 5. The discussion of the archaeological evidence - on which Isayev heavily depends here - is superficial and, at times, sweeping. I am also not convinced by Isayev's way of contrasting between Corfinium and Rome, which may be attributed to the fact that, outside the chapters on Plautus and Polybius, Isayev says too little about what happened between Rome and Italy during the second century. On the one hand, the insurgents' backgrounds and intentions varied too much for there to have been the Italian concept of place. On the other, one principal cause of the Social War was that some of Rome's allies were increasingly viewing themselves as her rivals within the same game, a phenomenon that Peter Brunt (JRS 55, 90-109) memorably described through the metaphor of the Anti-Pope. 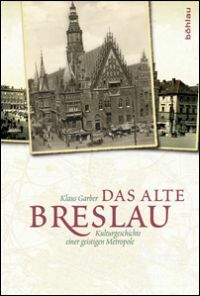 In addition, the reason why Corfinium was abandoned in the first instance stemmed from the fact that their original capital had fallen to the enemy, in the same way that one could hardly argue that the Nazi government's move from Berlin to Flensburg in April/May 1945 was in any way predicated by a peculiar German concept of place. Finally, the Greek fonts are all over the place, though the blame for this is squarely to be laid at the publisher's door step. But these are relatively minor points. I strongly recommend this book to anyone who is interested in the social and cultural history of Italy. It is a work that is best read in sections, as a collection of thematically coherent yet self-contained essays. The illustrations complement Isayev's argument very well, and it is useful to have them in both black-and-white and colour. In short, this is bound to be an influential book and a must-buy for every research library. Isayev depends on Feeney's recent model of the programmatic creation of Latin literature from its Greek predecessor (Denis Feeney: Beyond Greek. The Beginnings of Latin Literature, Cambridge 2016), and only insufficiently engages with Richlin's influential work, the underlying hypothesis of which has the potential to undermine much of what she argues in this chapter (Amy Richlin: Rome and the Mysterious Orient. Three Plays by Plautus. Translated with Introduction and Notes, Berkeley 2005). E.g., Felipe Carlà-Uhink: The Birth of Italy. The Institutionalization of Italy as a Region, 3rd-1st Century BC, Berlin/Boston 2017; Daniel J. Gargola: The Shape of the Roman Order. The Republic and its Spaces, Chapel Hill 2017.